Beautiful Legs , Healthy Legs! The leaves of the red grapevine (Vitis vinifera) are among the Färberrebe, a very old wine variety. Both the fruits of this vine, and the leaves are distinguished by the high number of red dyes. This variety is still grown in the Mediterranean and the Black Sea. The Red Vine Leaf does not get harvested until after the grapes are harvested. Winemakers long ago discovered the positive effect of crushed grapes on the legs. 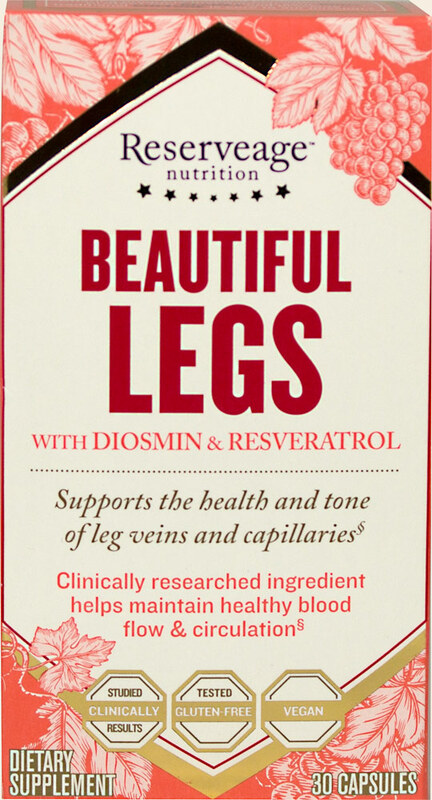 Since the active ingredients are also located in the leaves, one uses the healing power of the Red Grapevine now commercially in varicose veins, heavy legs, as well as venous insufficiency. The vine leaves reduces inflammation and swelling and have antioxidant ingredients such as flavonoids and polyphenols. Preparations are available in the form of tablets and drops, suitable for internal use. You can also prepare a tea with red vine leaves. Gels, creams or sprays are available for external use.